Incredibles – the latest offering from Pixar has Elastigirl returns as the main superhero protagonist. In this outing she’s given transportation in the form of the elasticycle: an electric powered bike with fast lines that I’m sure will be realized before we know it. Actress Holly Hunter voices the matriarch of this superpowered family. Dredd – Forget the Stallone Dredd; the one to watch is with Karl Urban, who gave his all to the lantern jawed, growling lawman of Mega City One in the 2012 Film. 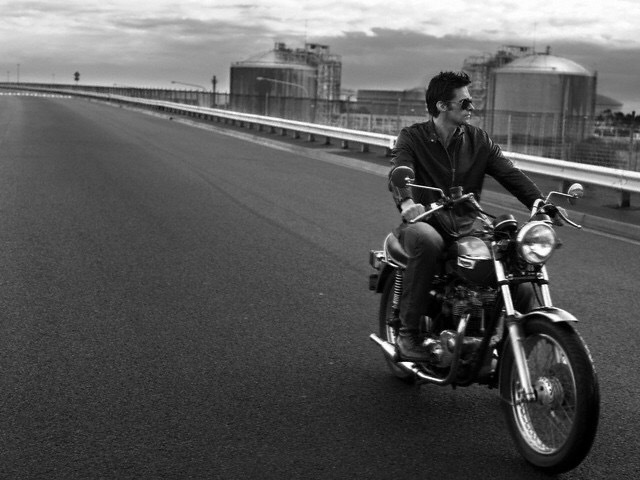 Here the antipodean actor looks quite at home on his caféd Bonneville. 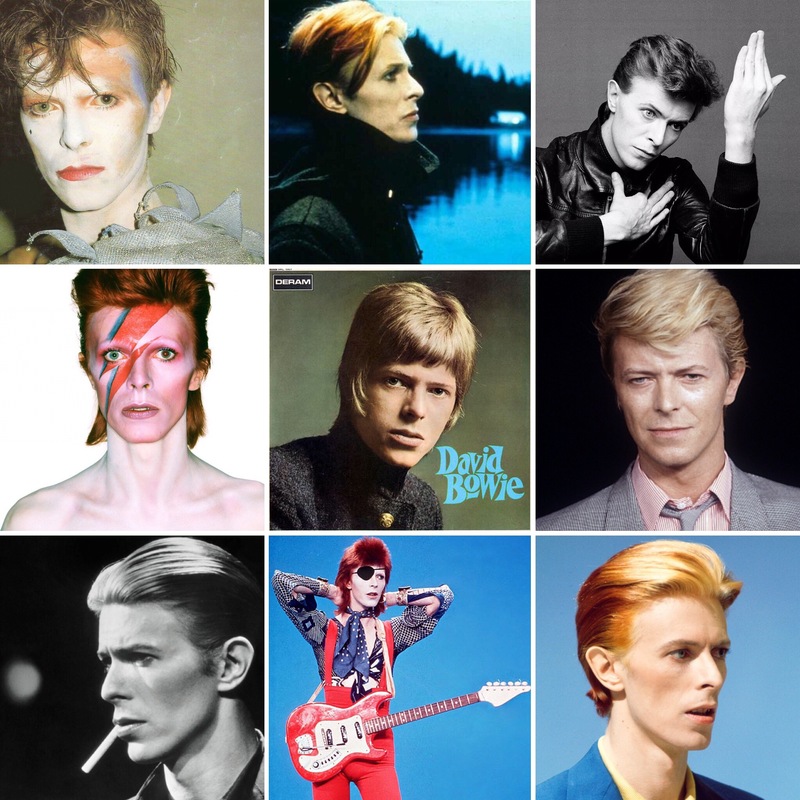 He’s also 46 today. Wonder Woman – Friday’s Femme Moto is Gal Gadot who is the current Amazonian Princess superhero from DC Comics. She looks the part by her black Ducati. Blood Bikes – Since 2012 a voluntary force has been utilizing the agile capabilities of motorcycles to get much needed medical supplies, as well as life giving blood, through busy traffic to hospitals and medical facilities across the North East. Using fast touring bikes such as this Triumph Trophy they managed over 10,000 deliveries in 2016. Incredible – Lou Ferrigno better known as The Hulk from the 70’s TV series is 66 today. Here he is as bearded Hercules in Gold’s Gym garb making a full dresser Harley Davidson look like a scooter. 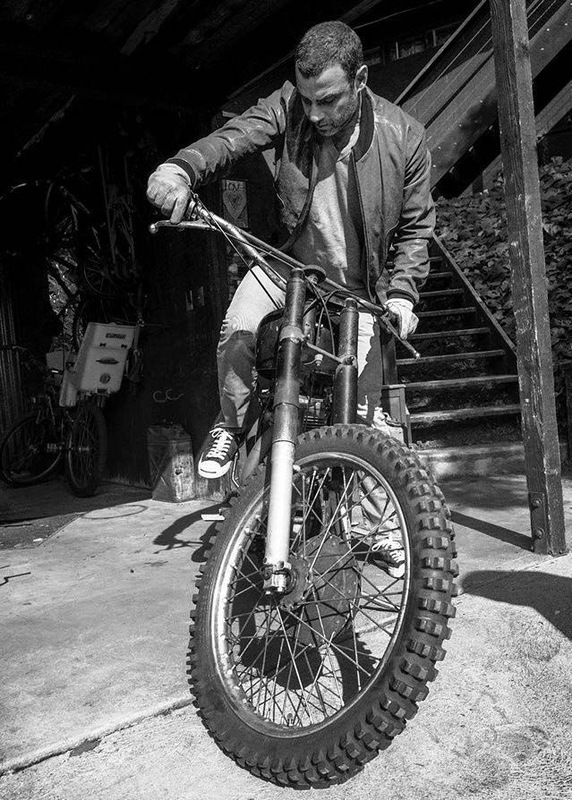 Sabertooth at Fifty – Taken for an Esquire Magazine men’s fashion photo shoot here’s Liev Schreiber kicking over a vintage British bike. Photo by Cédric Buchet. 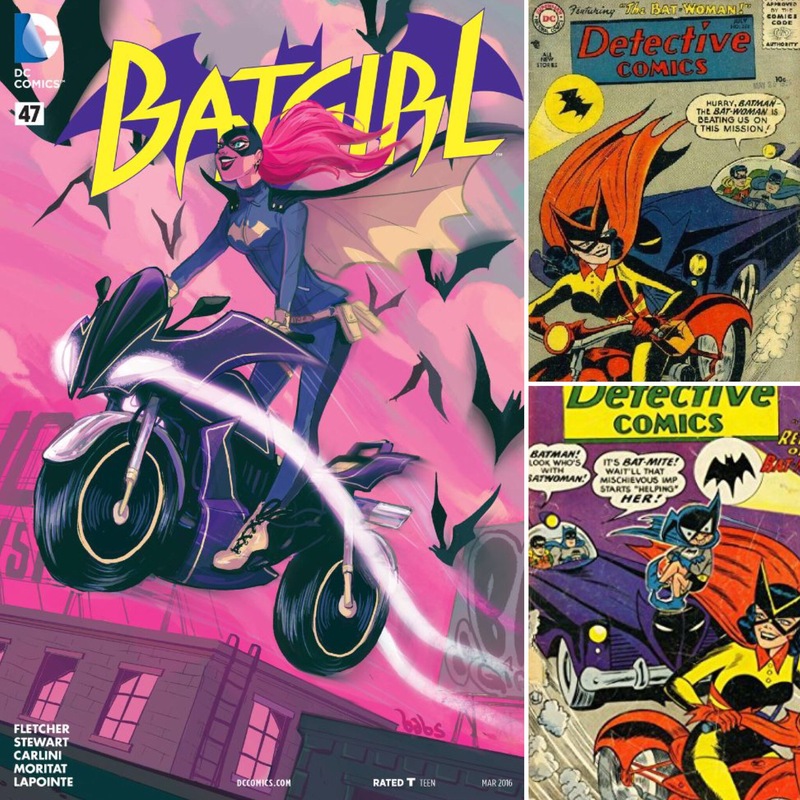 BATMAN – looking back it’s a very tongue-in-cheek version of the caped crusader and his crime fighting escapades. 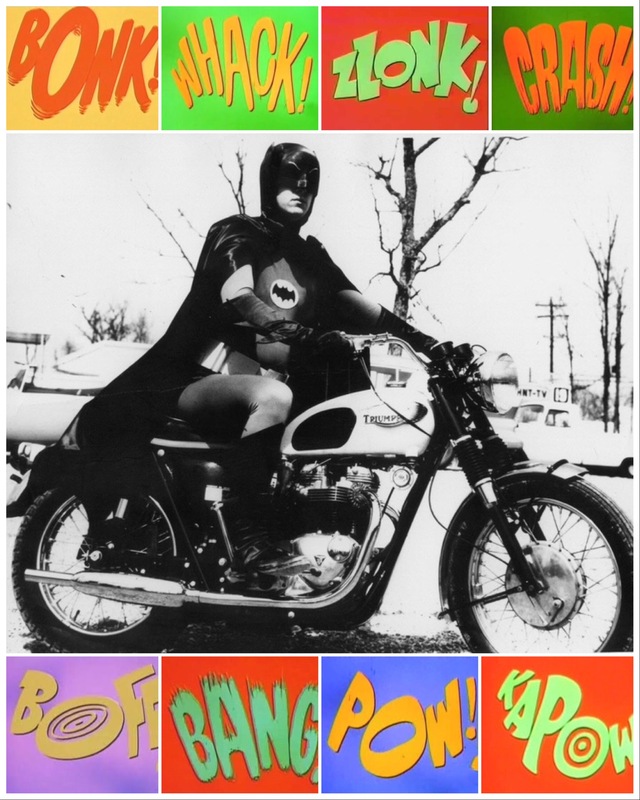 But growing up with the show when Bruce Wayne was played cooly by a serious Adam West and your Corgi Batmobile would recreate his daring-do along with Boy Wonder Robin, there was nothing better. Sadly we hear of the recent passing of Adam West who owned this role – grey one piece, yellow utility belt, and satin glove and all. Back to Basics – we recently had the opportunity to see a performance by the undoubtable Billy Bragg. Oh he of proletariat song and socialist chant. Folk punk poet with a rock beat. 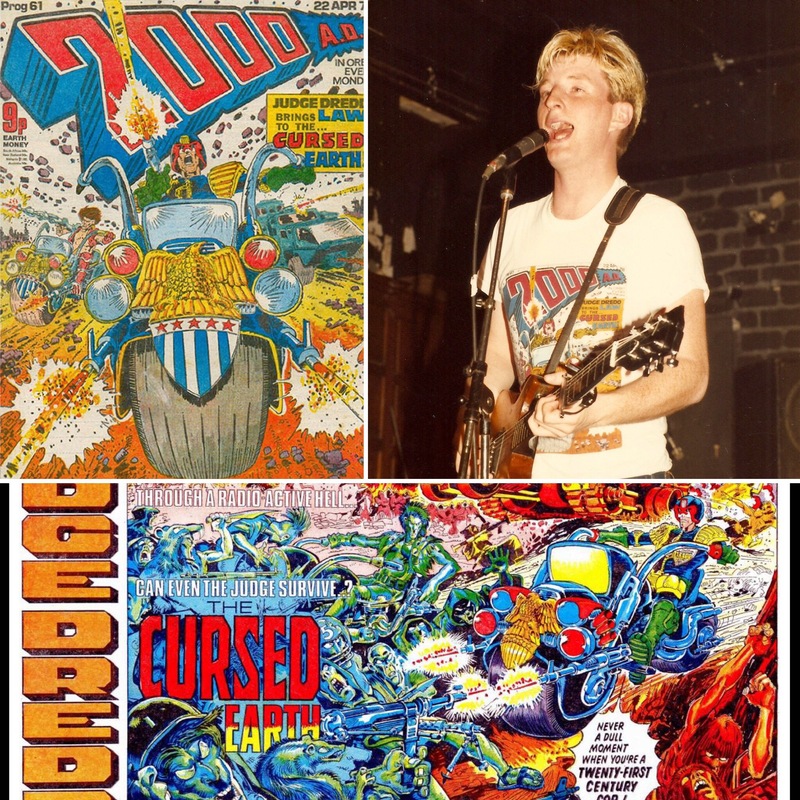 This photo of him in the early 80’s has him wearing a 2000ad cover t-shirt. Prog 61 to be exact, and my favorite, illustrating Judge Dredd exploding out of the page on his Lawmaster. He is the Law! And you’d better believe it! 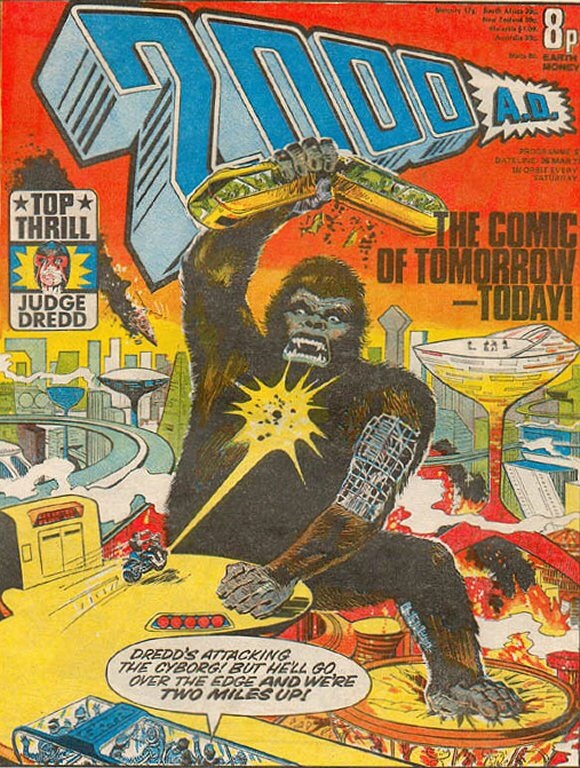 Judge Dredd takes on a towering simian who is wreaking havoc on Mega City One. From the saddle of his Lawmaster he’s reading the riot-act and probably sentencing this hominid perp to time. 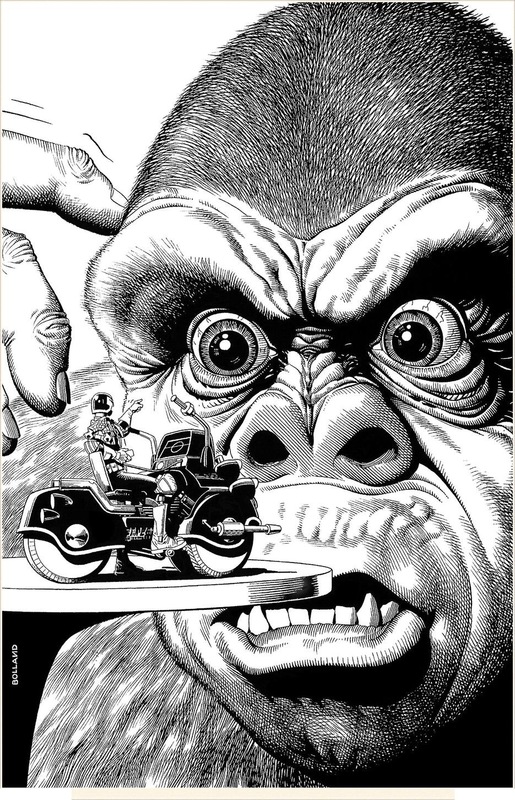 Comic artist Brian Bolland’s artwork for the cover of this rerelease is stunning in intricate detail of contrasting scales. The original story in 200AD Prog 5 back in March 1977 was about a rampaging movie-prop robot perp. 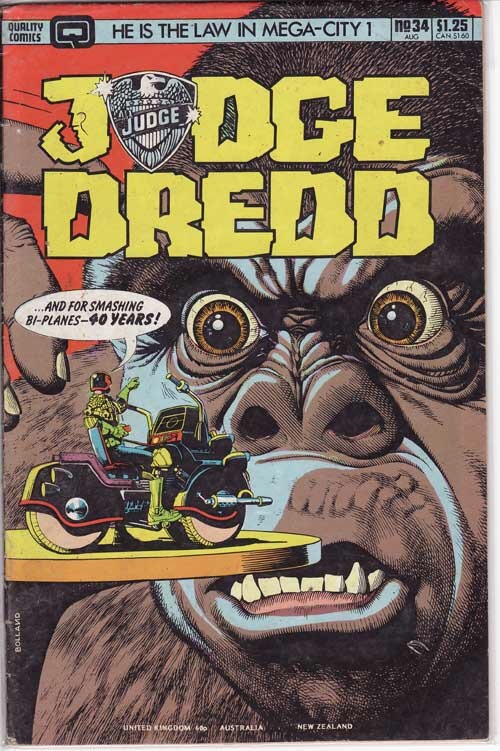 The story climax has Joe Dredd riding his bike into the fanged maw of the gorilla. Pegasus – the flying horse. 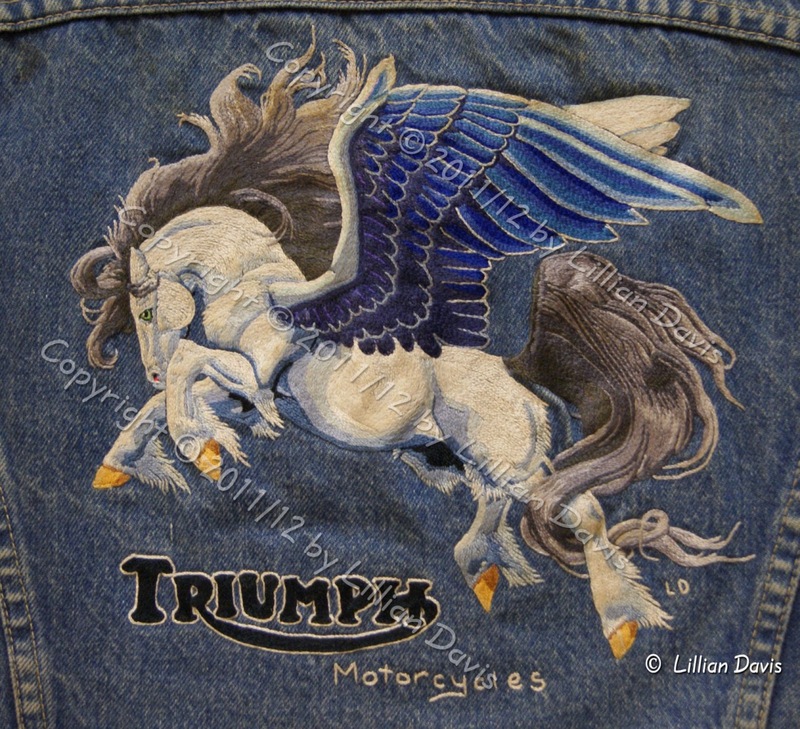 A beautifully embroidered denim jacket by a fine handed needlesmith Lillian Davis. Apparently she had this painted on her Triumpg petrol tank too. Dr Who. 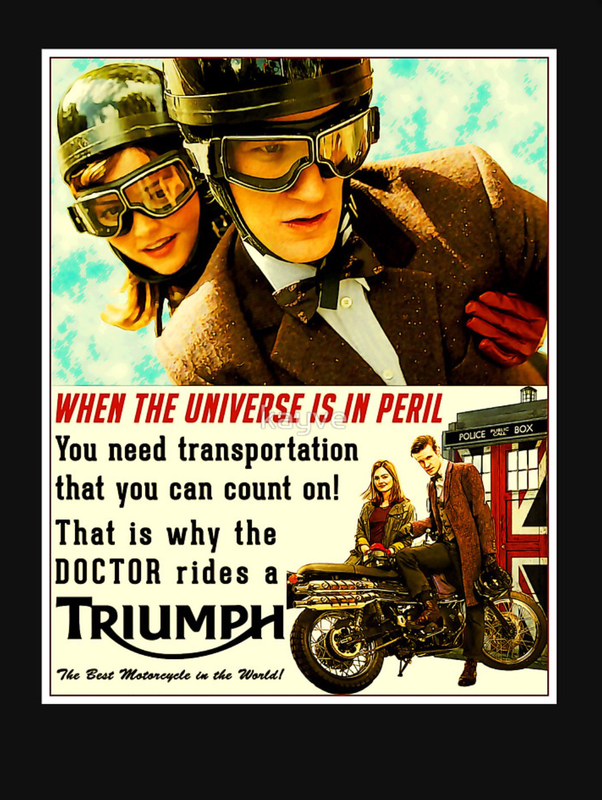 The classic Timelord from Gallifrey usually utilizes his TARDIS to careen about space and time. However when on the ground at a particular era the it seems a Triumph Scrambler becomes his wheels of choice.